Security systems for businesses are an absolute necessity. There is no way to ensure your customers' or employees' safety without having a surveillance monitoring system hooked up and running. But it's not just about having video installed to see what's going on in the most security-protected areas of your business building or office — it's about accessibility, cost-efficiency and maintenance. This is why, in recent years, many businesses have made the switch from traditional video surveillance systems to those that run on the cloud. Cloud video recording and monitoring has advanced the technology used to install and maintain video recording and monitoring while also heightening security and quickening installation. More than 90 percent of businesses have made the switch to cloud-based video surveillance, and the number continues to rise as people better understand the internet and technology advances. On-Demand Self Service: There is no longer a need to supply an external IT team as any errors or glitches can be fixed on-site and internally. Broad Network Access: With access to the cloud, anyone can check the recording and functionality of a system through a phone, tablet, workstation computer or laptop. Resource Pooling: Physical and virtual resources are available for mass amounts of consumers, such as storage, memory, processing and network bandwidth. Rapid Elasticity: As demands of the system increase or change, the internal processing capabilities can flex and change to meet them. Measured Service: Usage of the system is controlled and optimized through a cloud system that is dependent upon each type of service. Knowing the deemed qualifications for a cloud video recording and monitoring system, it becomes easier to see the benefits and advantages of using cloud technology as a security system for businesses. With a traditional video surveillance system, a lot of equipment and technology is involved. You need routers, monitors, cables, cameras and multiple installation packages. For a cloud video surveillance, you need a few cameras and an internet hook-up — everything else runs from the cloud. Because of the lesser amount of equipment, cloud technology has the capability for easy and smooth installation. Cloud video recording systems come with an on-site bridge application, a physical piece that you choose where your business is positioned. The internal system will autoconfigure all cameras and make the installation simplified. Traditional systems require software to install, routers and storage systems to configure and set up, cameras to position and a final application software to install. At the touch of a button, your cloud video surveillance is up and running, ready to operate. Because of the cloud's accessibility, there is no need to search for new software or program updates. The cloud will automatically apply any changes or upgrades that need to be performed. Should anything go wrong with your system, you report the issue and the internal network will complete a diagnostics check to understand where the problem stems from, allowing for easy fixability. Traditional video surveillance systems often have trouble with malware and viruses. In extreme cases, theft or burglary would occur, and cameras or monitors would be damaged, as well. With cloud video recording, there are no dangerous risks for malware. Because it is hosted internally, no open ports or onsite firewalls are required. There are options to add additional cybersecurity appliances during installation, but the cloud host protects against most vulnerabilities. One of the best advantages of cloud video monitoring is the accessibility. You don't have to be in your business building or office to monitor the security or happenings of your space at all times. With cloud technology, you can be at home or on vacation and periodically check in to make sure your system is running smoothly while also watching a video feed of the current monitoring. If you're ready to upgrade the security systems for your business, Intellicom has the technology available for you. Our cloud services and video surveillance can help increase the security and operations of your business. We are the only single-solution provider in the North Carolina area and are ready to assist you. Contact us today by phone or request a project design to begin your journey with cloud video recording and monitoring. What Is Structured Cabling & Why Is It Important for Businesses? A structured cabling system is a way of organizing your cabling and connected hardware by joining a series of standardized elements to create a comprehensive telecommunications infrastructure. You can then use this infrastructure for your telephone services, transmitting data through your computer network, or whatever other purposes you might need cabling for. The benefit of setting up a structured cabling system is, in a word, better organization for your business’ network and telecommunications. When you have structural cabling in your business, you can enjoy consistent, predictable performance, optimize system availability, streamline the use of your cabling, have backups in place if anything goes wrong, and enjoy a flexible system where it is easy to make changes without having to shut down your whole cabling array while the technician figures out how to adjust the setup without interfering with other company systems. The alternative to structured cabling is something called "point-to-point cabling," which you may also call "conventional cabling." The main distinction between the two comes from the way the Main Distribution Area is used for structured cabling. In structured cabling, the Main Distribution Area, or MDA, is where all of the cables in your structural cable network come together. This makes it easy to make any changes, additions or adjustments with just short patch cords. In conventional, or point-to-point cabling, on the other hand, each piece of hardware is separately connected to a hardware port. This requires long cords that can get tangled up and may confuse technicians who are trying to make changes. Who Needs Structured Cabling, and When and Where Do You Need Structured Cabling? What businesses need structured cabling? If you have a computer network and/or telecommunications systems in your business, you need structured cabling, and you should employ structured cabling across your entire network of cables. Having some cabling systems be point-to-point and making others structured completely defeats the purpose of structured cabling, unless your point-to-point cabling is in an area completely segregated and compartmentalized from the rest of your organization. Even if you have a small business with one phone line and two computers now, if you ever intend to expand or grow your business, you should invest in structured cabling. In fact, when you are small is the perfect time to start with structured cabling, as it will be easy to set up and just as easy to add new cables and hardware to the system as you grow. The benefits of adding structured cabling to your business’ systems are practically countless relative to the cost. Some have already been mentioned. When your cables are all organized through a single location, there are fewer long cables to deal with and less unsightly cable disorganization. If you are in a growth phase and making a lot of changes to your computer network hardware or telecommunications, structured cabling can make your life dramatically easier. 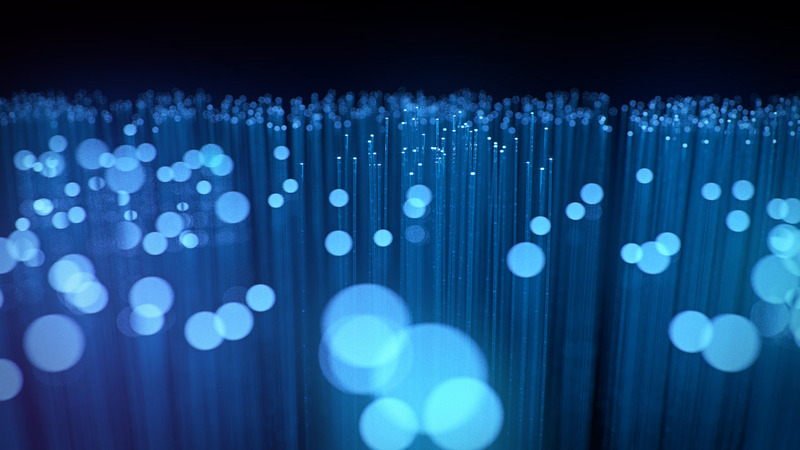 One of the most important benefits to structured cabling, however, is in the way it can reduce human error and downtime. In a structured cabling system, if there is a disconnection or a wrong connection, it will affect the whole system and you will know immediately and be able to correct it right away. In a point-to-point system, each piece of hardware is isolated from every other one, so if one is not connected or otherwise not working correctly, the problem may be hidden by other hardware or telecommunications devices and you may not notice until it becomes a huge problem. Once you do notice, it may require a lot of untangling and reorganizing of wires to get it right. A structured cabling system can help you sidestep all of those problems. Many businesses in the North Carolina area rely on their telecommunications and computer networks, which is why many of those companies rely on Intellicom, Inc. USA for their structured cabling and other telecommunications services. We have a full team of OEM-certified engineers and can quickly and easily determine the best way to set up your structured cabling, install the system, test it, implement it and audit it to make sure it is running exactly as it is supposed to. For structured cabling or other related services, call Intellicom, Inc. USA now. Today’s forward-moving, successful businesses simply must have videoconferencing in their arsenal. Whether you’re trying to make a sale, start a new partnership or communicate an idea, there is no substitute for being able to talk face-to-face. In today’s global, digital economy, where businesses have contacts all over the world and may have employees in a variety of locations as well, the most effective form of face-to-face communication is videoconferencing. Not only should you use videoconferencing technology, but you should also practice effective videoconferencing. 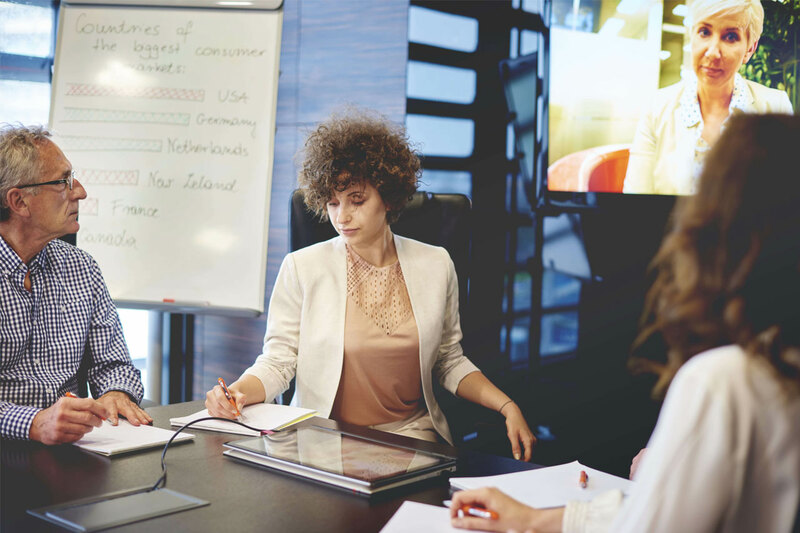 Here is a breakdown of some videoconference best practices so you can use this technology in the most effective way for your business. There are a few do's and don’ts that are important to keep in mind during videoconferencing. First, whether you are the leader of the conference or simply a participant, try to check in a little early. There is always the chance that technical issues could pop up or a slow connection could cause unexpected delays, and it’s better to be early and have to wait a little bit for everyone to check in than to miss critical information or keep people waiting. In general, you should treat a videoconference as if it were a live conference where everyone is in the same room, whether you are the only person checking in remotely or everyone is videoconferencing in. That means dress appropriately, don’t eat or bring food into the meeting. and make sure you are joining the conference from somewhere private where you can close the door and warn passersby not to interrupt. 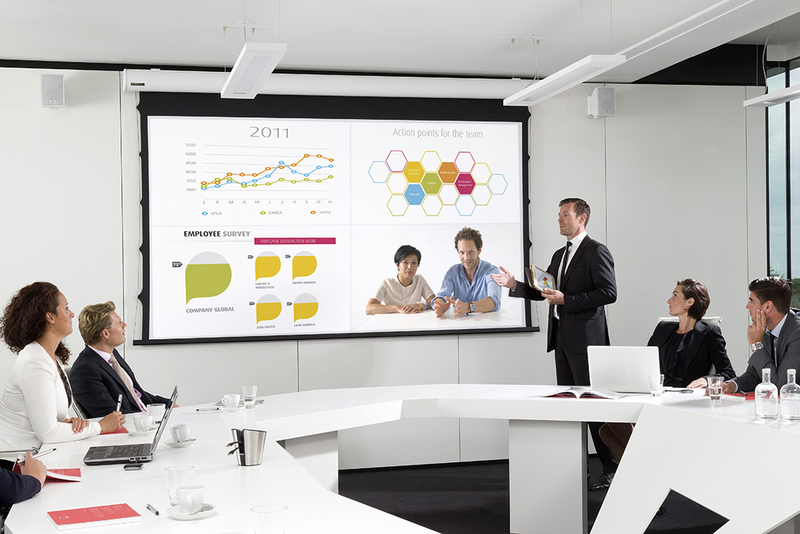 Successful videoconferencing starts with the right videoconferencing software and hardware. In today’s environment, you have a number of videoconferencing software options to choose from. Some companies are fine with basic social videoconferencing software like Skype or Zoom, while others will want to adopt a more professional quality videoconferencing software platform like ezTalks Cloud Meeting, RingCentral Office for Business or Cisco WebEx. The best software and the best etiquette won’t help you if you are dealing with technical glitches. That is why it is so important to make sure your system includes the highest-possible quality cameras and microphones for clear, reliable video and sound. You also must have a reliable internet connection and a dependable, connected network. Nothing kills communication faster than a feed that freezes, cuts out or is hard to hear. If you don’t have enough internet bandwidth, freezing, delays, and choppy video and sound will result. You may find this happening when you have multiple cameras and many people are trying to talk over an internet connection that is inadequate for your purposes. When this happens, it’s easy to become flustered. Fortunately, you can often avoid this problem by making sure you have an adequate internet connection beforehand. A professional network design specialist, like those on the team at Intellicom, can help you figure out just what kind of internet system you need to help ensure clean, uninterrupted videocommunications and can set it up for you as well. Naturally, if your internet connection is great but your hardware, cameras and microphones, are subpar, you will suffer quality problems even though the signals are getting through. This can lead to a sense of lack of professionalism and inadequate respect for your own business or the time of the conference participants. That is why it is so important to make sure you have the best equipment and internet connection for the job. Intellicom can provide complete, state-of-the-art audiovisual videoconferencing services for your business in the North Carolina area. We have a variety of videoconferencing systems to meet your needs and your budget, systems that can enhance collaboration, improve communication and provide you with clear, consistent video and sound meeting after meeting. We also have experienced personnel and tools to help you set up a reliable network and internet system so you never have to worry about being connected. To learn how we can put our videoconference systems to work for your business, contact us today. While many people give serious thought to their home security and to the security of retail establishments, some may not be as careful when it comes to an office. This can be an unfortunate oversight. Offices are great targets for thieves, as they are often not heavily guarded and can contain plenty of treasures for the enterprising criminal, from computer equipment to televisions to office supplies. Access Control Systems: An access control system gives you as a business owner total control over the comings and goings of your personnel. Your system can be a basic card reader system, where an employee has to swipe or pass a card over an access panel to gain entry. There are also more sophisticated options, such as a fob the employee carries in their pocket or even a biometric access method like a fingerprint or eye scan. These systems can help prevent people from sneaking into your office, although they may not be effective against a nighttime break-in attempt from an outside element. Security Alarm System: This is a system that includes options like glass break sensors, motion sensors, door sensors and window sensors that activate when someone unauthorized attempts entry at a time they shouldn’t. These sensors should not only trigger a sound alarm, but should also be linked to a 24/7 monitor station for maximum security. A team will be waiting around the clock to notify you and the proper authorities the moment a break-in attempt is detected. 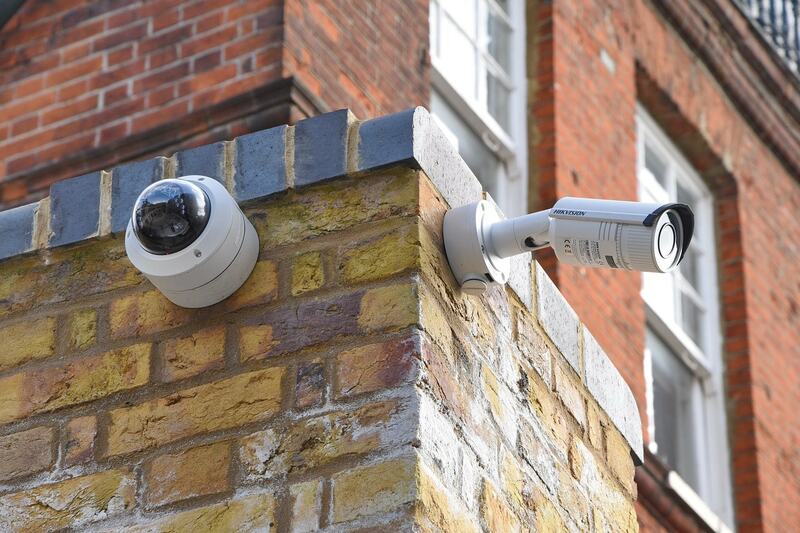 Video Surveillance: Standard alarm systems can do a lot to protect you and your business, but adding video surveillance can give you an even greater level of protection. Having a video-surveillance system in place, especially one linked to 24/7 monitoring, is like having eyes on your business at all times, wherever you are, day or night. Video surveillance protects your business in multiple ways. First, it can act as a powerful deterrent to break-in attempts, as highly visible video cameras let potential intruders know they are being watched before they even think about breaking in. Second, it can generate a fast response. The monitoring team can alert the authorities as soon as a break-in is attempted, and since it is verified by the monitors, those authorities can act fast without fear of a false alarm situation. Finally, should intruders be scared off and escape capture, the high-definition cloud-based recording technology can store clear video of the criminal who made the attempt, facilitating easier apprehension so he cannot attempt to break-in at a later date. What’s the Best Alarm System for My Business? So which alarm system is best for your business? If you have a smaller business that is not an obvious target for thieves, a basic security alarm with window, glass break and door sensors will often be sufficient. For a slightly larger business, you will definitely want to have an access control system as well, and may want to consider a few video cameras. Larger businesses should have motion sensors for both inside and outside the facility; door, glass and window sensors; access control; a full range of video cameras; and 24/7 monitoring. These systems can pay for themselves with the first attack they thwart. 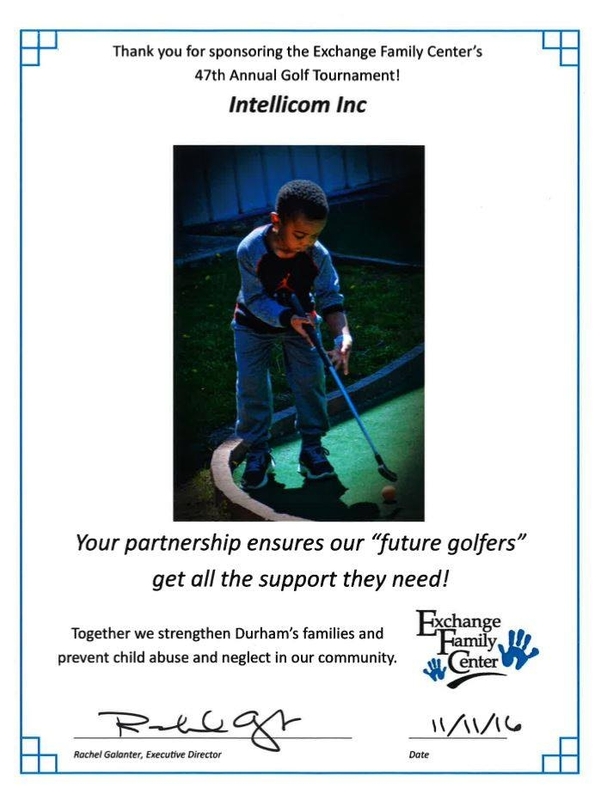 When it comes to the best alarm companies in Durham, North Carolina, the company that stands out is Intellicom. 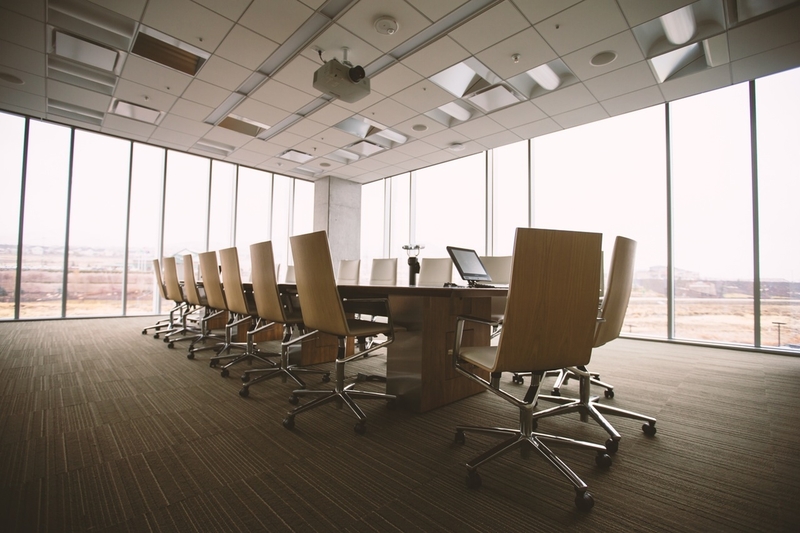 Known for our structural cable and audiovisual solutions services throughout the Research Triangle Park area, we also have proven expertise in reliable security systems for office environments. Whether you’re a smaller business, a larger one or a midsized operation, we can help you find and install the right alarm system for your needs and budget. To find out how, please contact us for more information today.